The Ondo State University of Science and Technology, OSUSTECH First Semester Break and Resumption Date Notice to all Students for the 2017/2018 Academic Session. 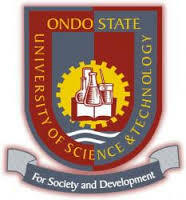 The Management of the Ondo State University of Science and Technology, OSUSTECH wishes to inform all students that they are to proceed on a two (2) weeks semester break starting from Tuesday, 24th of April, 2018 to Sunday, 6th of May, 2018. Students are expected to report back on campus on Monday, 7th May, 2018. Students are also advised to take advantage of the period to complete their registration as the registration portal will be opened throughout the period of the holidays.